The Pop Culture Fest, held June 16 – 21 at Hacienda Tres Rios Resort, Spa & Nature Park in the beautiful Riviera Maya was an adventure in Mexican culture, cuisine and fashion. Guests, visitors, employees and media participated in numerous events which celebrated the rich, colorful country that is Mexico. Culinary classes included demonstrations on how to prepare Mexican favorites; huitlacoche sauce, chilaquiles and tortilla soup. Students from Escuela Superior de Estudios Creativos de Cancun submitted their fashion creations, all of which were made from paper, and winners were chosen by votes on the Hacienda Tres Rios Facebook page. Guests participated daily in traditional Mexican games. 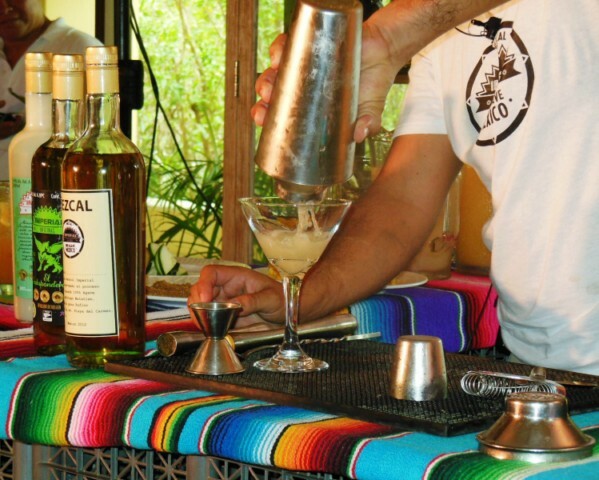 Various cocktail classes and tastings were held, exploring the properties and history of tequila, pulque and mezcal. An employee costume contest was held. Winners were chosen by “Likes” on the Hacienda Tres Rios Facebook page. Lucha Libre workshops were held daily. The festival culminated with a festive tropical beach party, Mexican buffet and a lucha libre extravaganza. Sunset World Resorts & Vacation Experiences and Hacienda Tres Rios Resort, Spa & Nature Park would like to express our heartfelt thanks to all who participated in and attended the Pop Culture Fest.